During the lessons we will start by learning kids how to survive when they are in a difficult situation in the water. Besides survival techniques we will focus on floating and water safety. As soon as the kids are totally comfortable in the water we will start on learning and improving the swimming techniques. While working on learning the required methods and improving the swimming techniques we aim to prepare the children in a intensive pace. However we will always make sure the kids are having fun while learning! We prepare the children to qualify for their Dutch ABC certification. 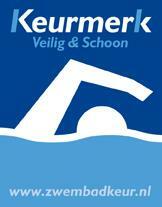 The swimming lessons can be given in English or in Dutch. For quite a number of (water) activities A,B and often C certificates are required to participate. No need to worry, we will help your children obtain their ABC certifications so they can attend: Sailing camp, Pool parties and much more..
Are parents allowed to attend the swimming lessons? Parents are not allowed to attend the swimming lessons as kids get distracted easily by the attention of a parent. However in our restaurant you have a great view over our pool and they serve pretty great coffee too..! How long does it take to obtain a certificate? It is difficult to provide a set period for a child to obtain a certificate. It depends on various factors like the attention span, cognitive development, and also previous swimming experience. The period will also differ per child. Can I reschedule a missed class? Missed lessons can not be rescheduled. Is there a sick policy? Is your child sick and not able to attend his/her swimming lesson? Please let us know by sending an e-mail or call the reception. Kids with contagious illnesses (Chickenpox, Shingles..) will not be allowed in the swim class. What are the diploma requirements? With clothes: T-shirt shorts and shoes Jumping into the pool, 15 seconds water-treading with arms and legs, 12,5 meter breaststroke, make half a turn around the longitudinal axis, and continue 12,5 meter swimming on the back, kicking the legs and independently climbing out of the pool. With clothes: shirt long sleeves trousers and shoes Jumping into the pool, 30 seconds water-treading with arms and legs, make a full turn around the longitudinal axis. start with 25 meters breaststroke, swim under a floating mattress and make a full turn around the longitudinal axis and continue 25 meter swimming on the back, kicking legs and independently climbing out of the pool. In swimming gear: distance Dive into the pool, then 6 meters under water swimming and through a hole. Then start 75 meters breaststroke, arms and legs combination,during this exercise you sink direction to the bottom with hands raised. Followed by 75 meters swimming on the back kicking the legs, arms in the side. Crawl : Pushing off the side of the pool, followed by 10 meters of back-crawl. (continuous legs) Pushing off the side of the pool followed by 10 meters free-style. (continuous legs) Floating : pushing off the side of the pool, floating on the belly, with the face in the water and the arms and legs closed: 10 seconds. Make speed in a few breast strokes, and again floating on the belly, with the face in the water and now the arms and legs open: 7 seconds (starfish) Push off the side of the pool, floating on the back, with the arms next to the body. and the legs closed:10 seconds. Make speed kicking your legs three times, and again , floating on the back, with the arms and legs open (starfish) 15 seconds Finally jumping into the pool, 30 seconds of water treading, using arms and legs, then continue 30 seconds water treading using legs only. With clothes: shirt long sleeves rain jacket long trousers and shoes Make a roll over from the side into the pool, holding your feet, start 30 seconds watertreading with arms and legs, and 30 seconds holding show a board help position. Start with 50 meters breaststroke, swim under a floating mattress return and climb over the floating mattress and continue 50 meter swimming on the back, kicking legs and independently climbing out of the pool. In swimming gear: distance Dive into the pool, then 9 meters under water swimming and through a hole. Then start 125 meters= 5 laps breaststroke, arms and legs combination, during this exercise you roll over forwards when indicated and dive to the direction of the bottom straight down and continue breaststroke. Continue swimming on the back 100 meters= 4 laps kicking the legs and arms in the side. Crawl : Pushing off the side of the pool, followed by 150 meters of back-crawl. (continuous legs) Pushing off the side of the pool followed by 15 meters freestyle. (continuous legs) Floating : pushing off the side of the pool, floating on the belly, with the face in the water and the arms and legs closed: 10 seconds. Make speed in a few breast strokes, and again floating on the belly, with the face in the water and now the arms and legs open: 10seconds (starfish) Push off the side of the pool, floating on the back, with the arms next to the body. and the legs closed:10 seconds. Make speed kicking your legs three times, and again , floating on the back, with the arms and legs open (starfish) 20 seconds Finally jumping into the pool, 30 seconds of water treading, using arms and legs, then continue 30 seconds water treading crossing the legs and using arms only.